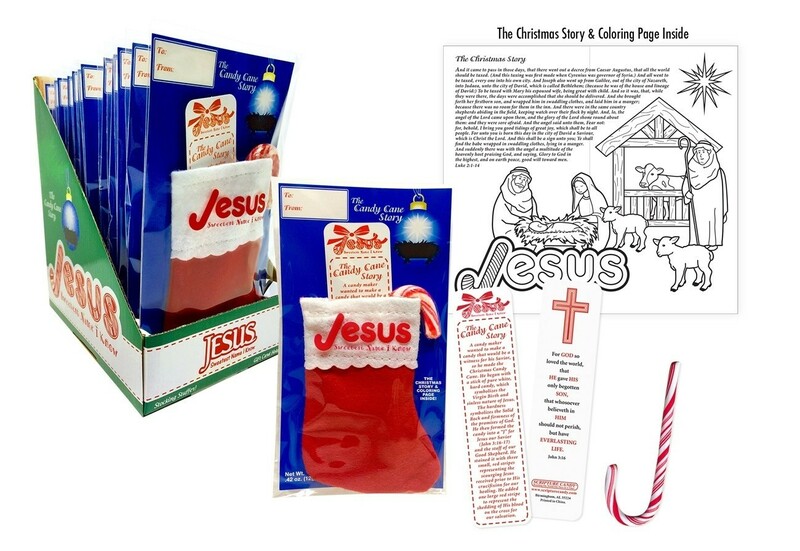 Each case includes Christian candy cane stockings embroidered with the name JESUS and comes with a "true" candy cane. This Scripture Candy Cane story also comes with a bookmark that tells the legend of how the candy cane came to be. The Christmas Candy Cane stocking is just the right size for placing a gift card inside. With the "To" and "From" printed at the top of the package, it makes a quick and easy gift. 1 cane and 1 bookmark per set.